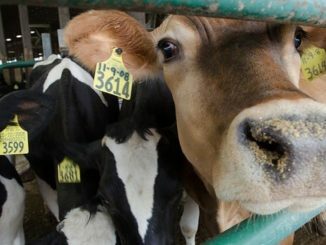 Leading dairy organizations today announced the launch of an inaugural California Dairy Sustainability Summit, which will showcase California’s world-leading achievements in sustainable farming practices and provide dairy farmers with a single venue to access technology, services, and financial support that can help them reduce operating costs, develop new revenue streams and make further advancements in dairy sustainability. 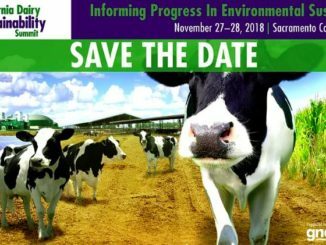 The Summit, which will be held at the Sacramento Convention Center from November 27-28, 2018, is co-hosted by Dairy Cares, Dairy Council of California (DCC), California Milk Advisory Board (CMAB), California Dairy Quality Assurance Program (CDQAP), and the California Dairy Research Foundation (CDRF). More than ten organizations have signed on as Event Partners, including California’s dairy trade associations and major dairy cooperatives, along with Sustainable Conservation and the Western States Dairy Producers Association.